Sad sad news. The fashion world just lost one of its most talented designer Alexander McQueen. Very shocked at his sudden demise. His work will be remembered for a long long time. 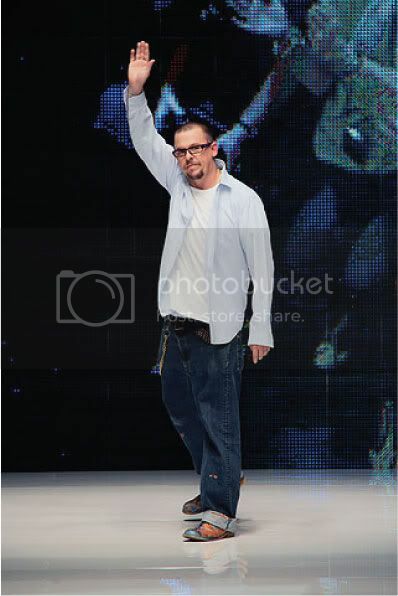 RIP Lee McQueen. I was shocked too.. Like "What? I haven't even bought your shoes yet. Now I can forget about being able to afford them." Any idea how I can get a Goyard bag? I know right..I read that his merchandise sold at least 7-fold after. Haha..I read the post where you wrote abt JP & her Goyard..get someone to buy/ship it over from Paris for you (like she did)! I duno where in sg sells, maybe try Mandarin Gallery?